The latest creation from the Fabergé ateliers, the Haute Joaillerie Summer in Provence watch was designed like a wreath of flowers woven on a warm afternoon in the south of France. Forming a fascinating interlacing pattern of precious ribbons, diamonds and emeralds mingle with colourful fine stones and dainty flowers individually sculpted in hard stone. 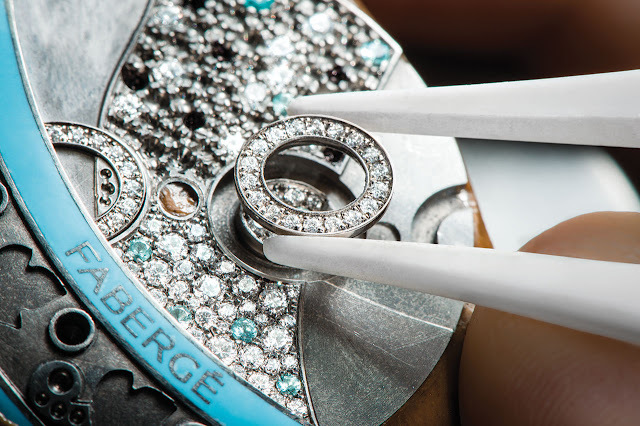 Two small supple enamel bands undulate over the creation and stamp it with the Fabergé signature. 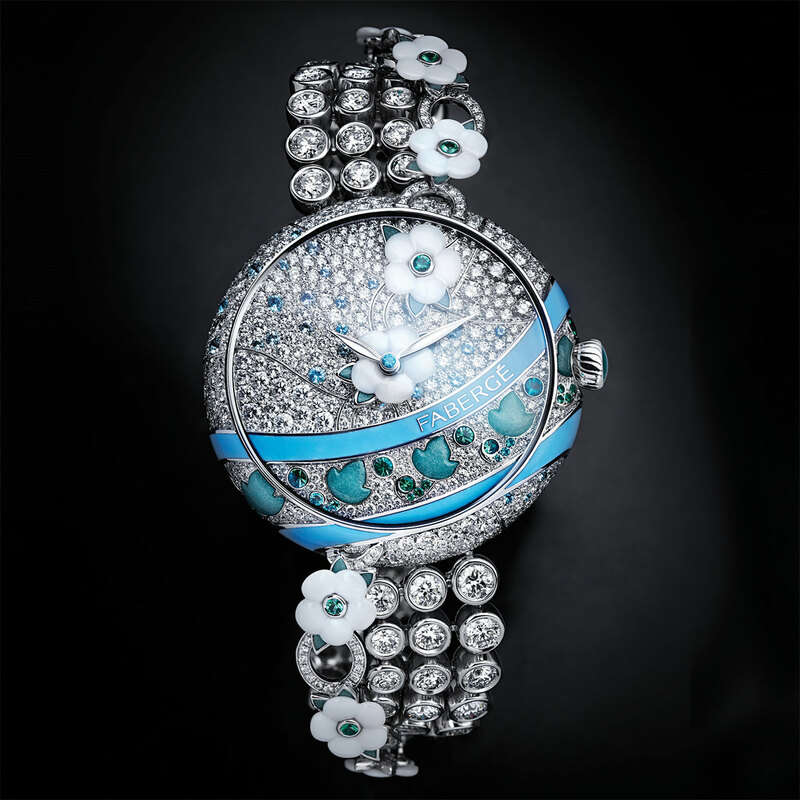 Others graced with snow-set precious stones wind over the dial to embrace the case. The wrist is gently encircled by a bracelet composed of diamonds set like the beads on a necklace, with a central garland of tiny flowers winding its away along its entire length. A Manufacture-made calibre beats at the heart of this creation, giving life to an exquisitely poetic symphony of colours. Five-piece limited series.